We are not your average workshop! Workshop – Get you car serviced with us and receive a FREE car wash and six-month roadside assistance. 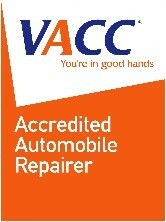 We are a Victorian Automobile Chamber of Commerce (VACC) accredited workshop that is fully equipped with state-of-the-art technology and diagnostic equipment. We do vehicle servicing and repairs to all makes and models of modern, vintage, classic and muscle cars, vans, campervans, small buses, light trucks up to 4.5 tonne, UTV’s, ATV’s, bobcats, small to medium tractors, earthmoving equipment and agricultural equipment. We do roadworthy inspections, VACC pre-purchase inspections for cars, vintage cars, motorcycles and light trucks to ensure compliance with the safety standards for vehicle registration. NGA Auto Group are a family owned and operated business that has been in the vehicle servicing business for 25 years. With our broad experience in vehicle repairs, we fully understand that the primary concern of vehicle owners is to seek proper and reliable vehicle servicing. We regard maintenance as one of the most serious aspects of car ownership which determines your vehicle’s performance and reliability. No vehicle too big or small, no job too big or small! Our vehicle servicing ranges from minor services such as oil or filter change, general automotive repairs, brake service, air conditioner servicing to major services such as log book servicing, mobile onsite service vehicles for agricultural and earthmoving equipment servicing and repairs. We provide personalised customer service. We have customer-focused and competent technicians who are trained to get your vehicle functioning at its best. We can promptly diagnose the problems and offer the corresponding solutions for your vehicle. The length of time for each service will depend on the vehicle type and the work required. No Surprises When You Pick Up Your Vehicle! If further work is required, we will immediately inform you of this and provide the corresponding pricing quote before we do any additional work. We offer servicing at a competitive price. We only charge you for the parts we replace. Our hourly rate for servicing is priced at $110 inclusive of goods and services tax. We carry out dealer services to the manufacturer’s specifications and manufacturer’s service schedule to ensure your warranty is fully protected & your service books are kept up-to-date. 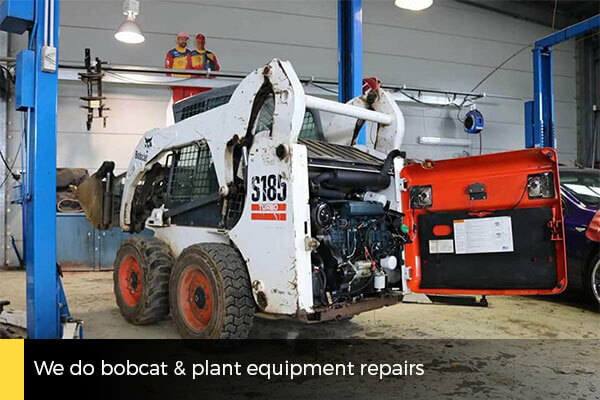 With our onsite service vehicle, we can carry out servicing and repairs to all makes and models of tractors and earthmoving equipment. Customer pickup / drop off service within the Ballarat CBD area. 8.00am – 5.00pm weekdays.